Olivia Beaufont likes fixing things and keeping to herself. She’s simple like that—but her life is about to drastically change. Over 190 reviews on the individual books! Liv is a rebel with royal blood who abdicated her birthright. 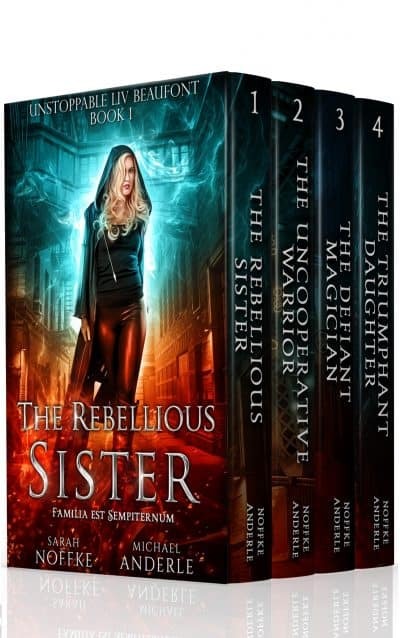 A string of murders changes everything and the House of Seven asks her to take on a role as a Warrior, one of seven positions revered for protecting magic. Although Liv would rather stay out of the politics and conspiracies that she ran away from years ago, her family needs her. It’s only a twelve-year stint until her sister, the next in line, can take over. So, what’s the harm in activating her magic and accepting her place as a Warrior? Justice hasn’t been properly served by the House of Seven in a long time.